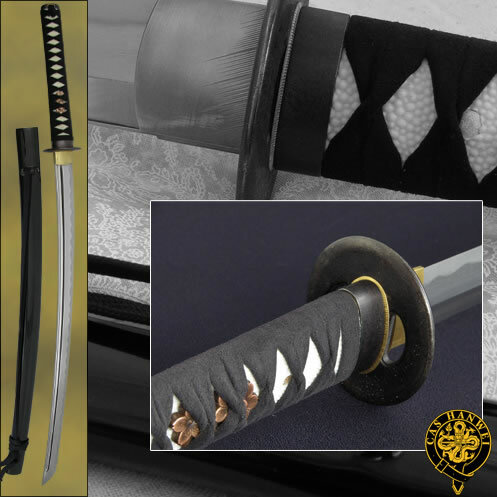 Our Bamboo Mat Katana features a chu-kissaki blade of Hanwei’s own high-alloy HWS-2S steel, which combines impressive performance with a striking O-choji hamon. This steel is made in Hanwei’s new factory, with high-tech equipment, producing a very pure, advanced-metallurgy blade with excellent edge-holding capability and resilience. The fittings feature a bamboo-themed black iron tsuba, textured in a bamboo mat design with a jointed bamboo rim and highlighted with gold-tipped bamboo leaves. The fuchi/kashira follow the same theme and the golden menuki feature a pair of sparrows. The saya is finished in high-gloss lacquer with horn fittings. Made by Hanwei. 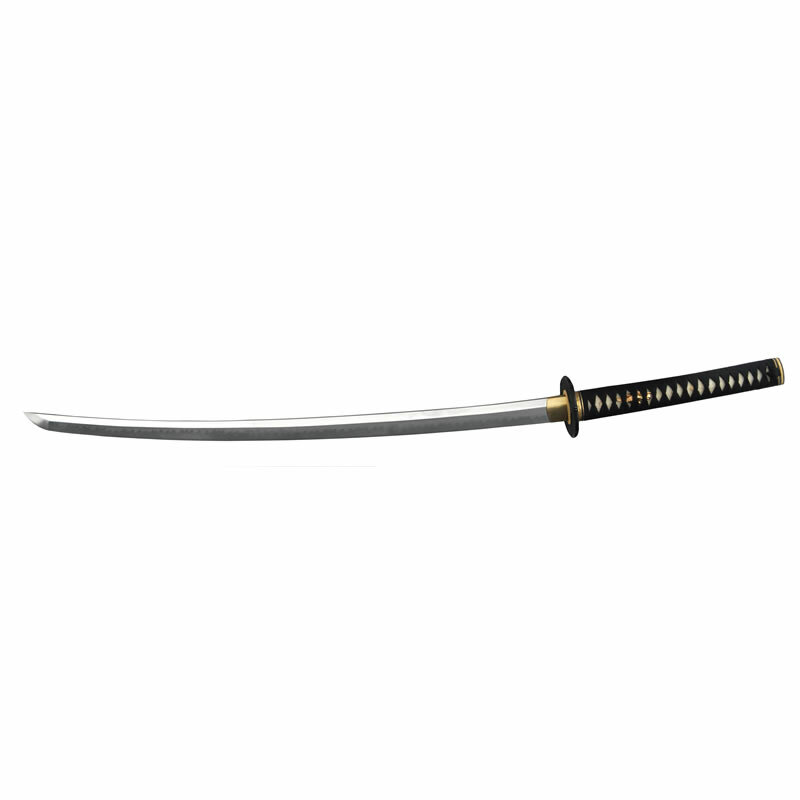 SpecificationsOverall: 40 1/4″ Blade Length: 28 7/8″ Handle Length: 11″ Weight: 2lb 12oz Blade Steel: HWS-2S Specs will vary slightly from piece to piece.